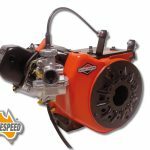 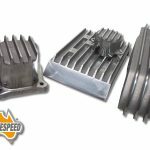 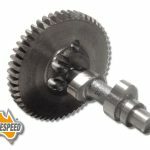 Aussiespeed go kart & small engine performance manufacture a range of performance & dress up equipment for Briggs & Stratton Animal and World Formula motorsport engines, Honda GX 160 and Honda GX 200 performance engine and dressup parts. 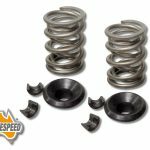 Aussiespeed Evil Stick Cams and Aussiespeed Evil Springs and valve train products are designed for making more horse power and getting the job done better. 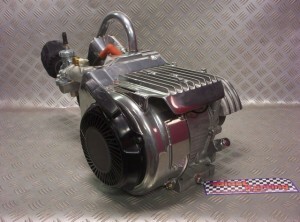 We only stock quality clutches, we do not sell inferior Chinese copy clutches. 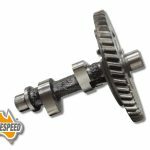 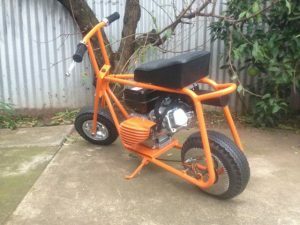 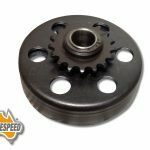 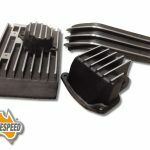 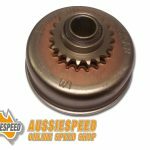 Aussiespeed small engine performance stock clutch drums, clutch springs, clutch shoes and clutch sprockets. 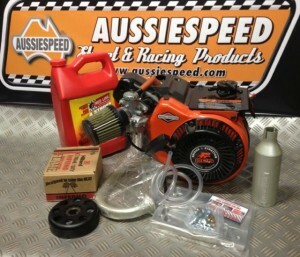 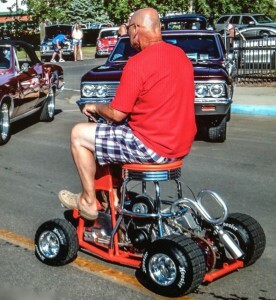 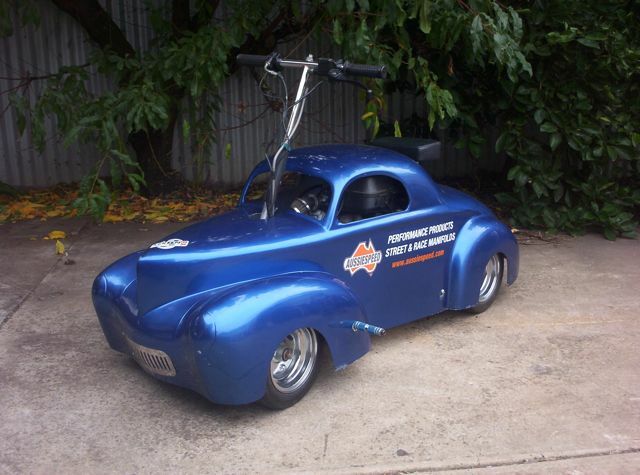 The Aussiespeed Small Engine range is so large we decided to put it all on Another Web Site. 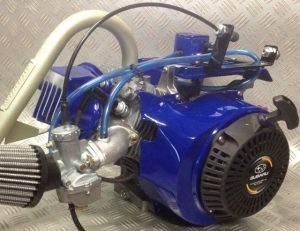 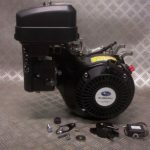 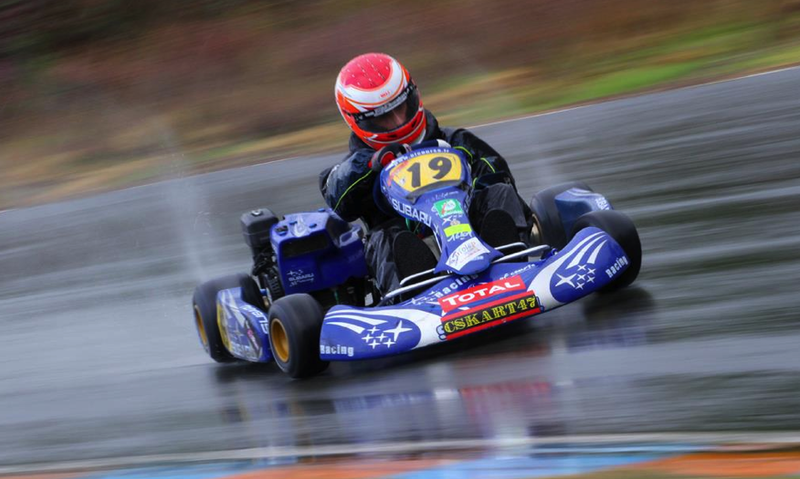 Briggs & Stratton Animal go kart engine supplier, the local 206 engine packages for 4 stroke go kart racing can be supplied to go kart clubs worldwide. 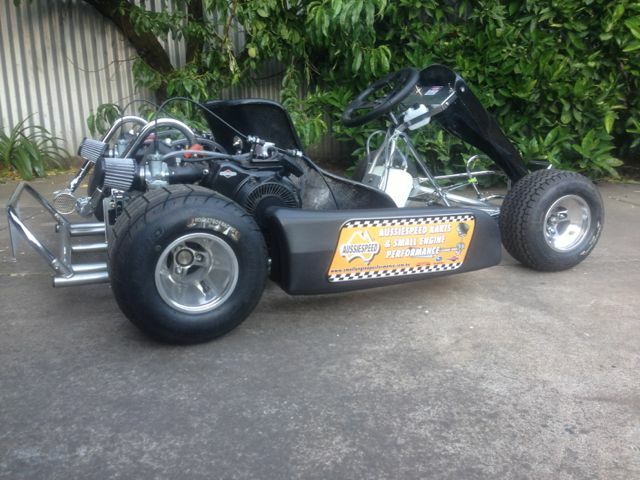 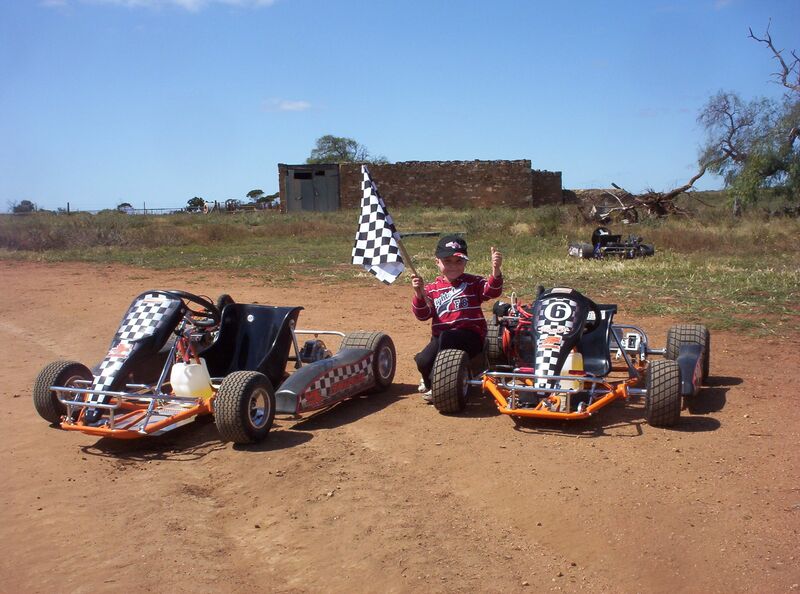 Dual engine karts made right here in Australia, Competition endurance dual engine chassis and social twin engine dirt karts are just 2 products in our range. 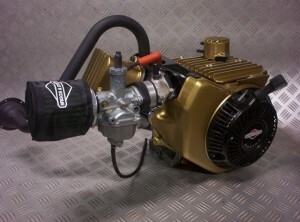 Another example of a dressed up Briggs & Stratton racing engine, This World Formula racing engine has had accessories powder coated metallic gold with satin linshed fins. 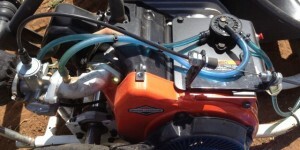 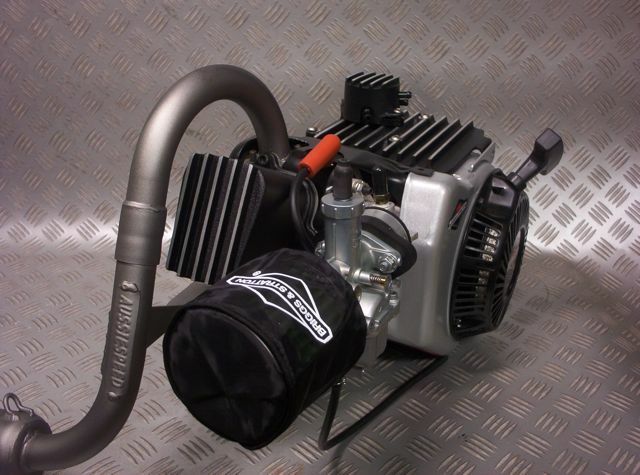 Briggs & Stratton Animal with AussieSpeed curved intake manifold & ceramic coated heat shield, header pipe & side cover. Subaru KX21 Go Kart Engine with custom blue powder coated blower housing, Aussiespeed Alloy rocker cover, finned alloy clutch cover, fuel pump cover & top engine cover plate. Carburetor is a PZ22 Walbro round slide fitted to an Aussiespeed inlet manifold with an Aussiespeed throttle cable bracket and Aussiespeed Subaru power pipe. 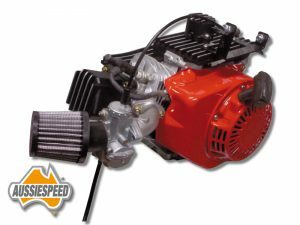 Honda GX200 Mini Bike Engine with custom bright red powder coated blower housing & satin finish wrinkle black Aussie speed Alloy rocker cover finned alloy clutch cover, fuel pump cover & top engine cover plate. Carburettor is a PZ22 Walbro round slide fitted to an Aussiespeed inlet manifold with an Aussiespeed throttle cable bracket. 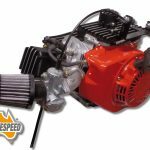 Aussiespeed small engine performance can assist clubs with sealed engines that can be stamped and supplied to meet your rule set. 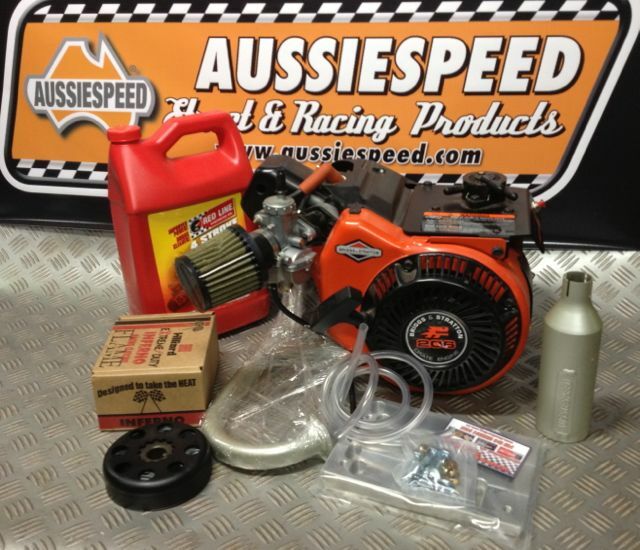 Aussiespeed Briggs & Stratton Animal powered dirt kart runs a 206cc Animal 4 stroke racing engine,These are a sealed engine from the factory, Aussiespeed has developed many extra components to complete the package including the AS206 Aussiespeed Animal inlet manifold, AS0228 inlet manifold to cylinder head heat soak spacer, AS0208 finned tall rocker cover to clear the 1.3 to 1 roller rockers, AS0223P Aussiespeed finned top engine cover, AS0237P Aussiespeed finned fuel pump dust cover, AS0218P Aussiespeed polished clutch cover, Noram Stinger clutch, Ceramic coated header pipe & muffler & AS0234 Aussiespeed engine base mount plate. 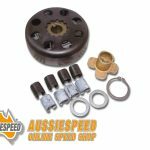 Show is as important as go Aussiespeed polished finned Briggs & Stratton Animal & World Formula engine dress up kit is available as a complete kit including stainless steel bolts or as single components.